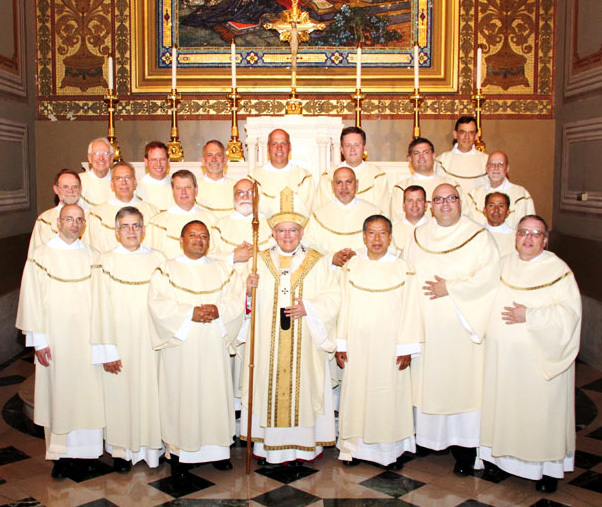 The 2015 ordination class of permanent deacons for the Archdiocese of Philadelphia, with Archbishop Charles Chaput (center). 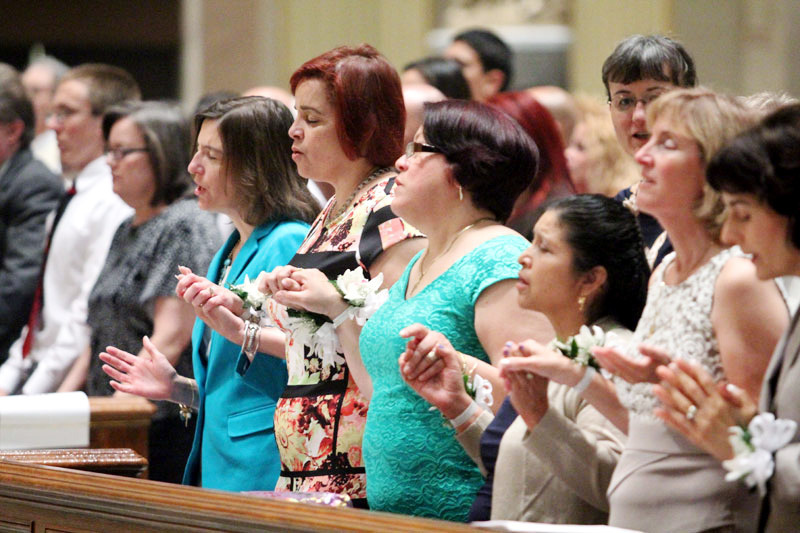 Wives of the deacons hold hands as they pray the Lord’s Prayer. 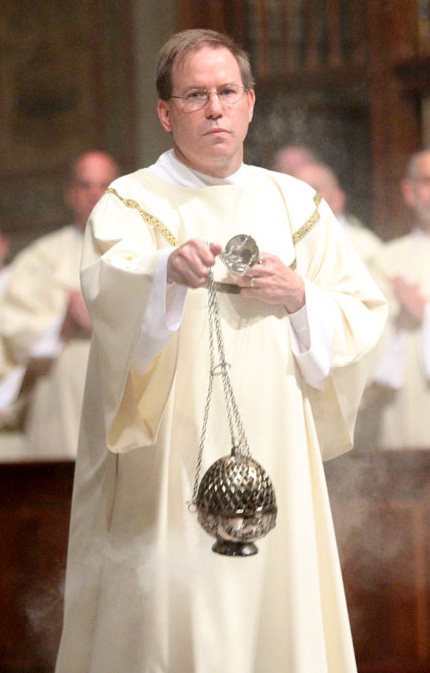 Deacon John P. Teson sends up billowing incense, and the prayers of the congregation, at the cathedral. 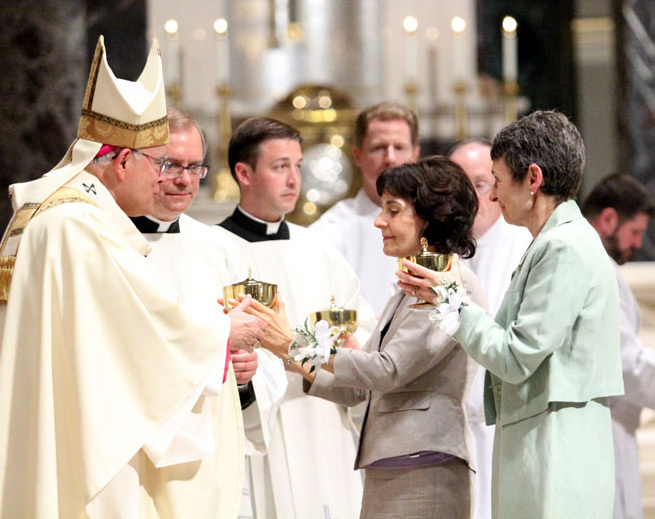 Deacons’ wives Carole Hall (left) and Susan Logan bring up the offertory gifts to Archbishop Chaput. 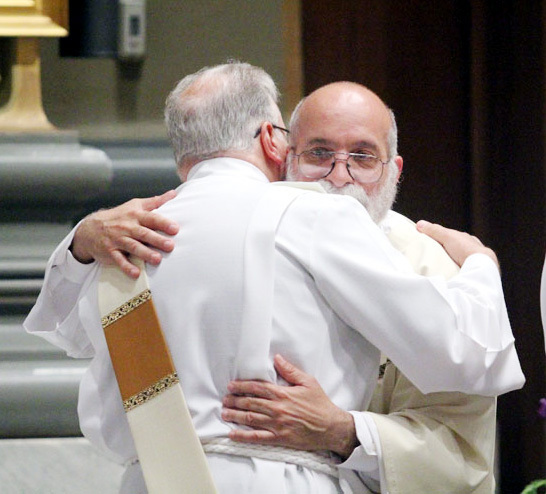 Deacon Victor M. Pomales receives a fraternal kiss from a fellow deacon. 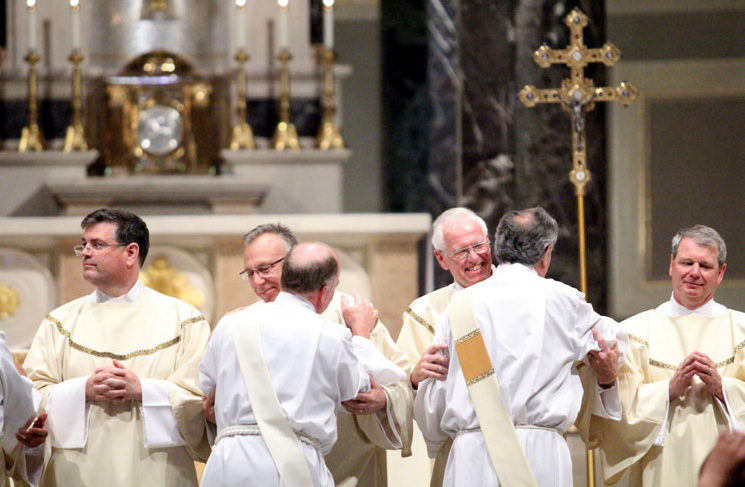 The deacons exchange a sign of peace during the Mass. 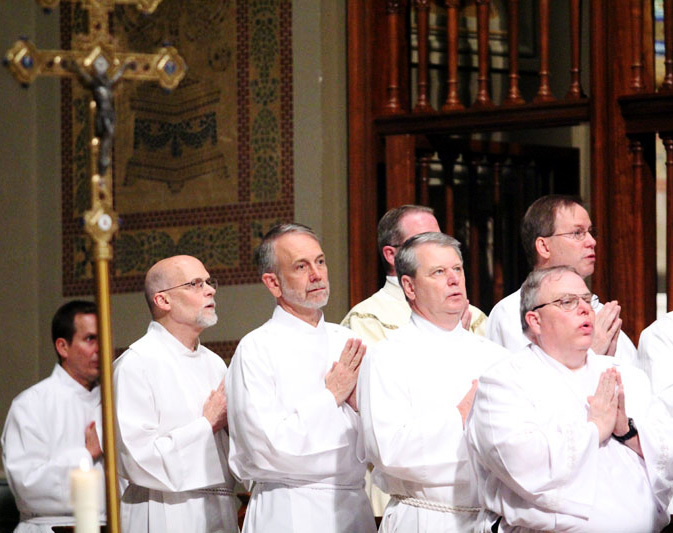 From left, Deacons Joseph P. McGonigal, Gregory J. Maskarinec, Gerard J. McPhillips and David J. Kolesky exchange a sign of peace. 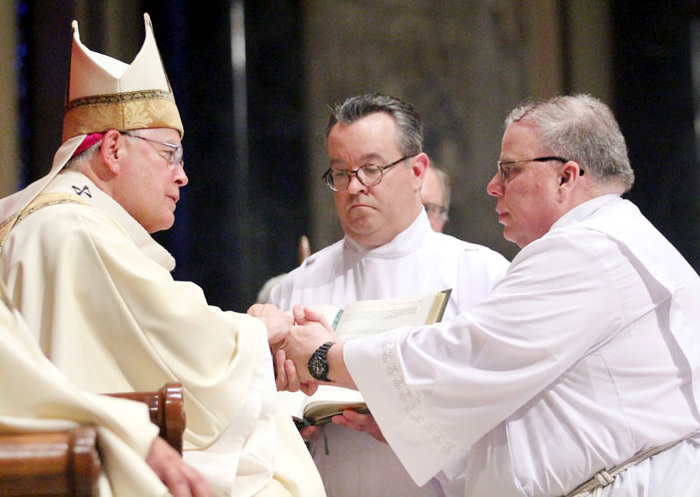 Deacon Gregory J. Maskarinec and Archbishop Chaput exchange a sign of peace. 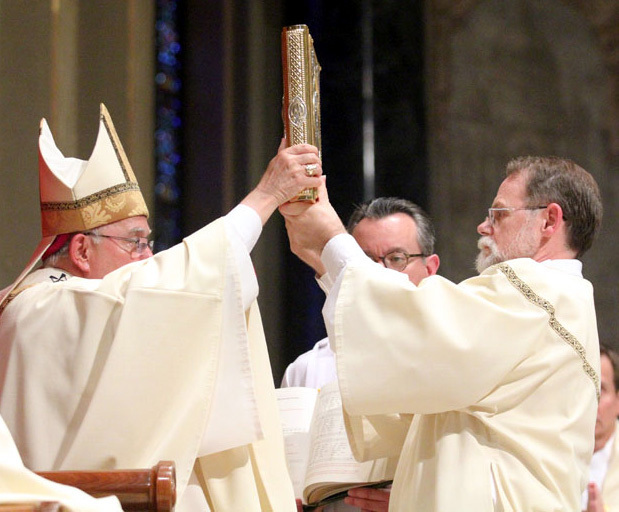 Archbishop Chaput hands the Book of Gospels to Deacon Paul A. Logan during the ordination rite. 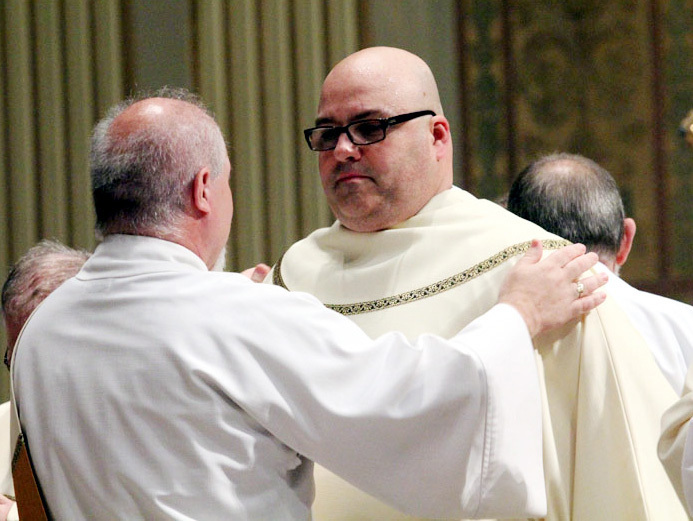 Deacon Michael J. 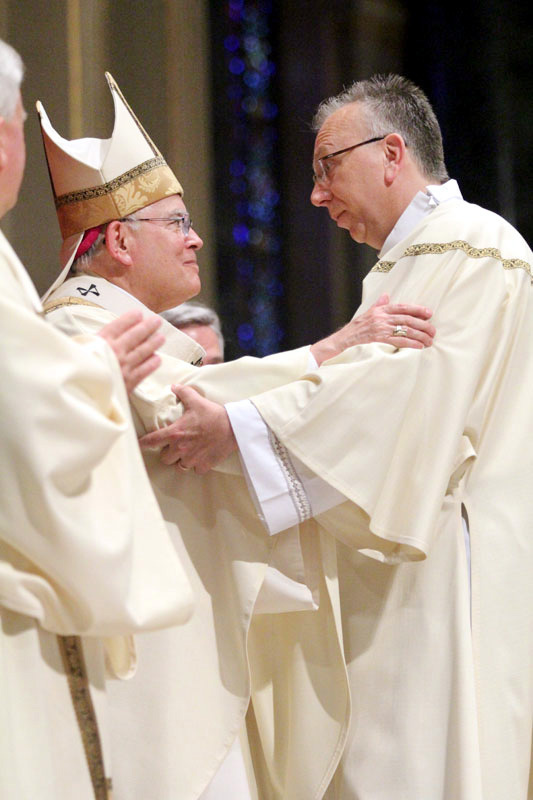 Bell receives his dalmatic, the vestment of a deacon. 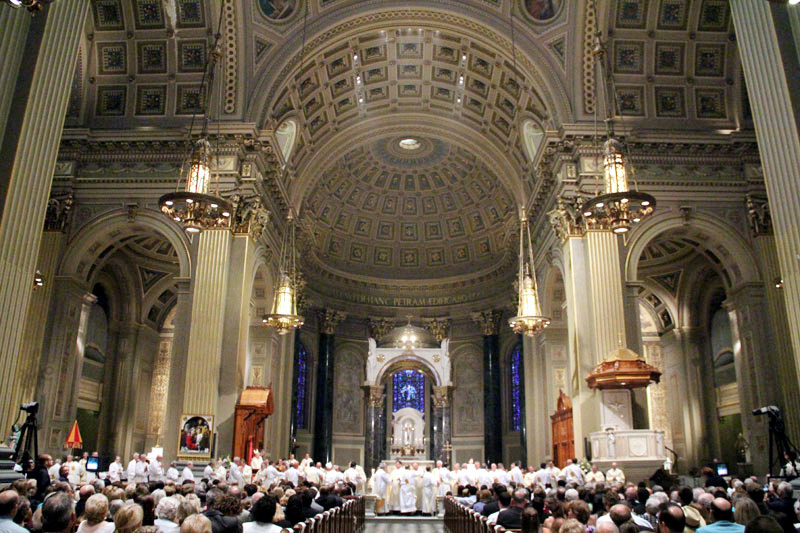 Deacon Edward T. Hinson makes the Promise of the Elect during the rite. 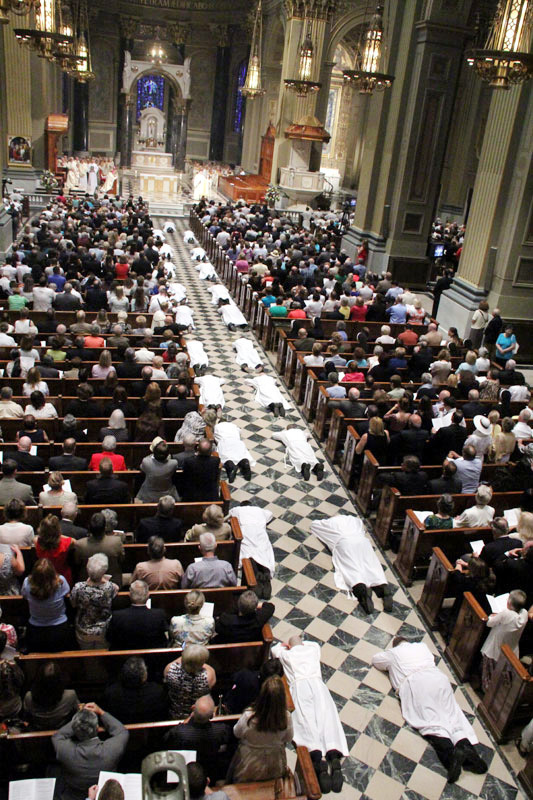 During the Litany of of the Saints, the deacons lie prostrate on the floor of the cathedral. 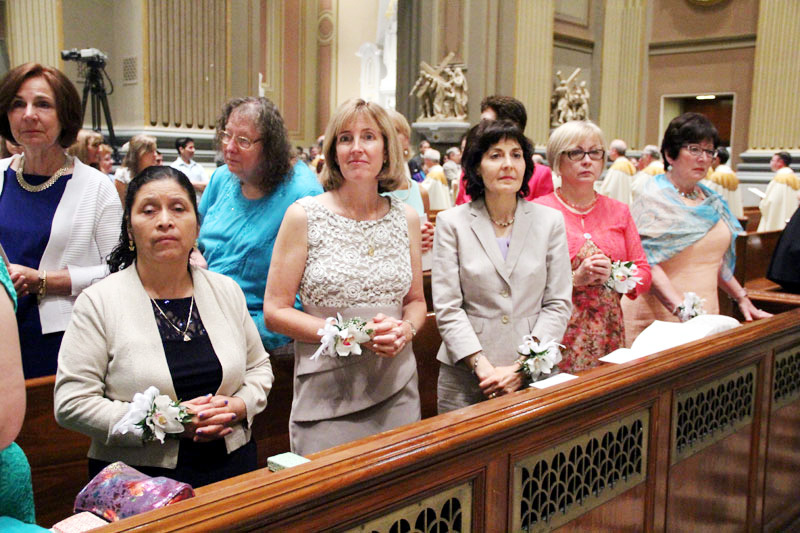 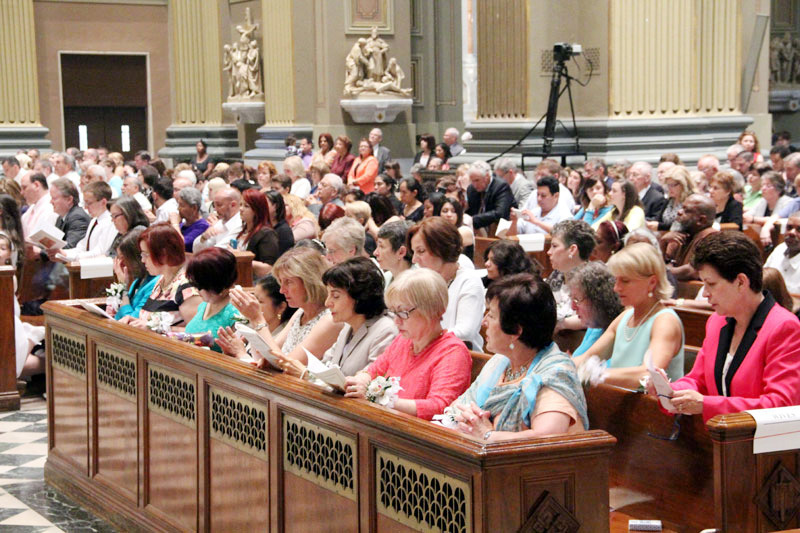 The wives of the deacons, along with all the people, pray the litany of saints as their husbands lay prostate on the aisle of the cathedral. 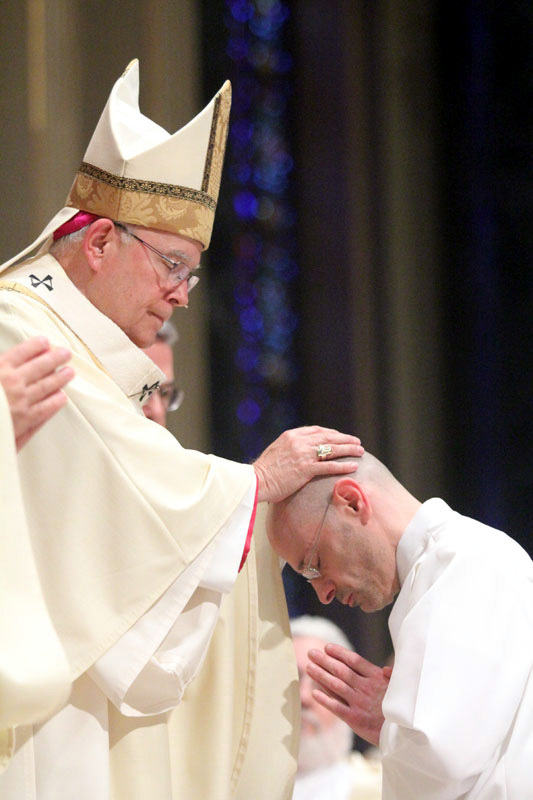 The archbishop lays his hands and prays the Prayer of Ordination, ordaining Deacon Olindo Mennilli. 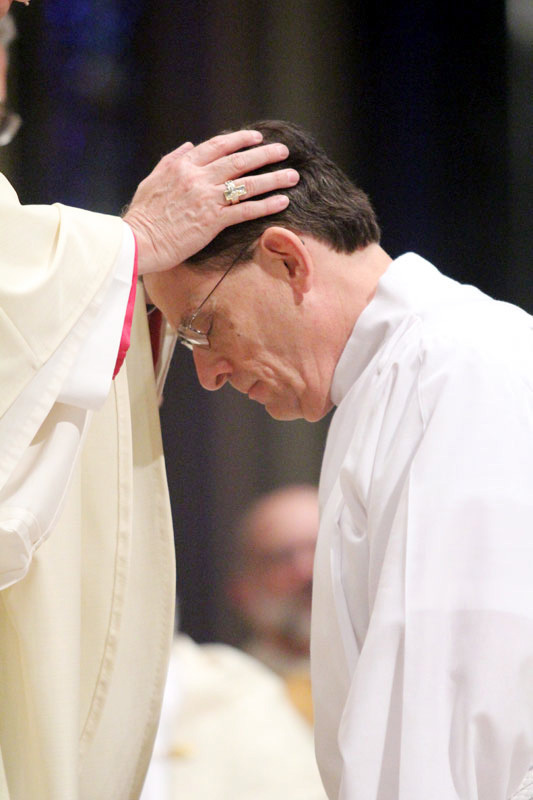 Laying on of Hands for Deacon Robert H. Hall. 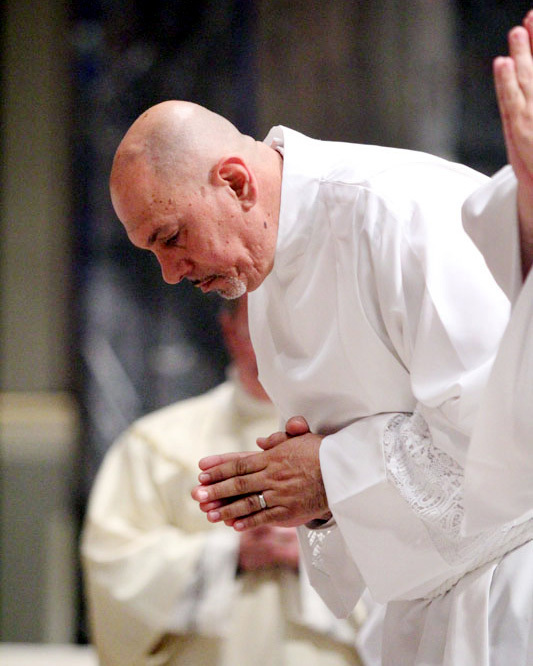 Deacon Manuel A. Beltran comes forward as his name is called during the rite. 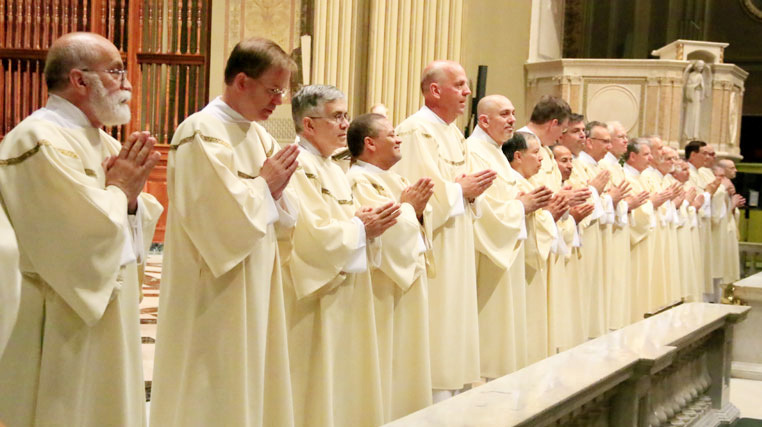 The newly ordained deacons line the altar rail to receive a fraternal kiss from fellow deacons. 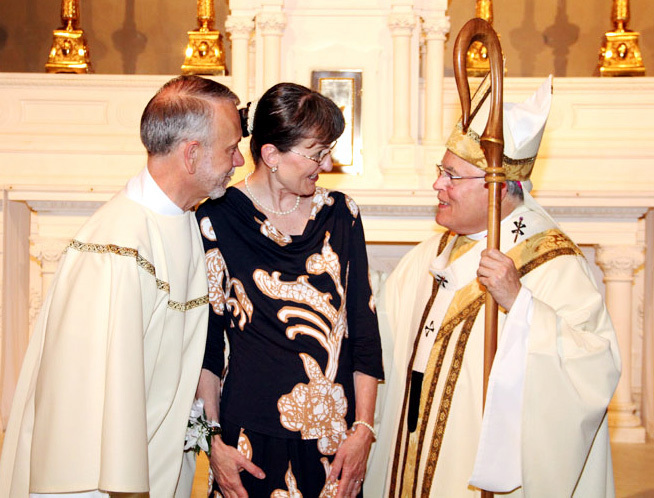 Deacon Mark J. Kuhn and his wife Suzanne chat the archbishop after Mass.